One of the first things your Landing Page visitor want to know is: does this really work? Has anyone already tried it? The best way to do it, is leaving reviews about its use, its usefulness and that worked successfully. But we can’t do this only by leaving a plain text with the comment and a photo it wouldn’t look real, official or reliable. So, how do I convince that it’s something real? 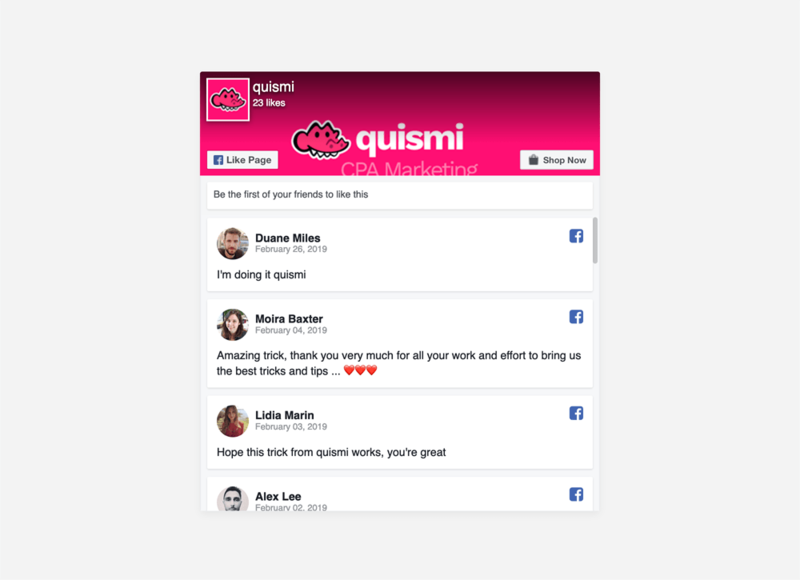 Simply, using the aesthetics and design of the Facebook Reviews for your site. This way, you’ll be able to captivate your user and get that lack of truth that your CPA Landing Page needed. 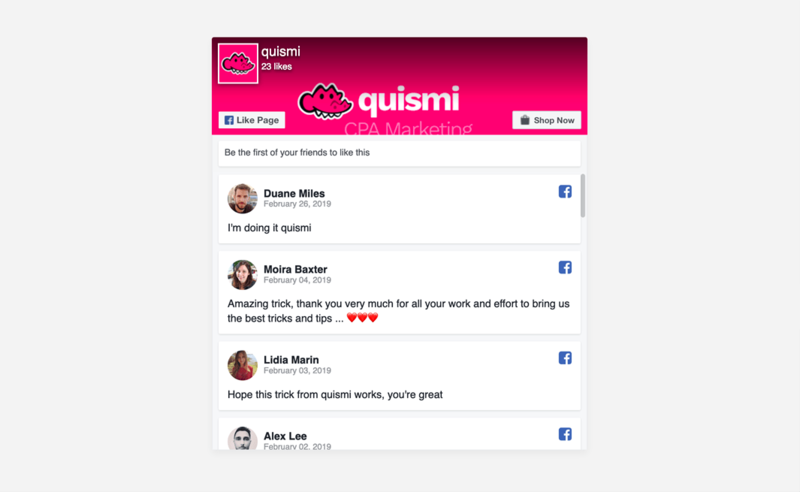 With this Fake Facebook Comments Plugin, you’ll be able to generate the amount of observations and references that you think are necessary for your Landing Page to have a security guarantee, and from the fanpage you prefer. How to get names and photos and even related comments? We also include resources and tips so you can use and simplify that difficult task. The design is totally responsive, so you can attract PC traffic, as well as tablets and mobile users. This tool is very easy to configure and adapt it where you want and to add credible reviews. 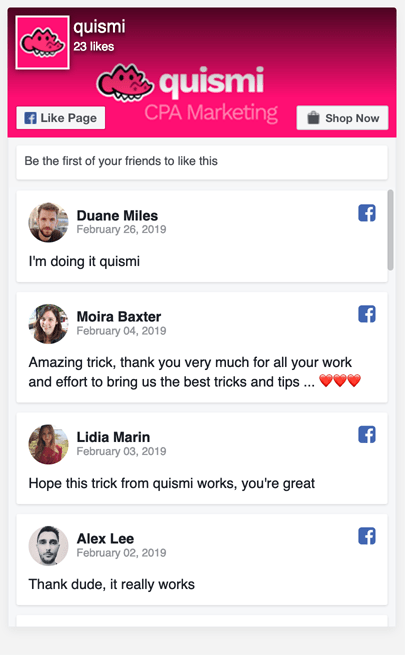 As always, it comes with a guide that will tell you how you can edit everything you want (fanpage, comment photo, date and text). So, do not wait any longer and start using it today!